Like Rosie, the iconic woman portrayed in a WWII-era poster with the words “We Can Do It!,” Raquel Tamez is equally strong, positive, and inspirational. Raised in a Houston barrio with a conservative Mexican family, she defied innumerable odds. It’s only apropos that this self-described Latina “fighter” chose a profession that lets her fight everyday: law. Raquel Tamez, Deputy General Counsel of Litigation, CSC. Photo by David Wiegold. It’s one thing to move to Washington, DC, from the barrios on Houston’s indigent Northside. It’s another to grow up as the youngest child of a migrant farm worker and land a seat as deputy general counsel with a Fortune 150 on Independence Avenue. But for Raquel Tamez, these are chapters in a book still being written. She has a BA from the University of Texas at Austin. She has a Juris Doctor from St. Mary’s University School of Law. She’s been a cheerleader. She’s raced mountain bikes. She’s served as a lead prosecutor at the US Department of Labor. She’s been the in-house counsel for companies like Mary Kay and ACS, Inc. She trained for and placed at an international figure competition. She currently oversees CSC’s global litigation and electronic discovery operations. She’s pursuing a certification in data privacy. She’s an aspiring Pilates teacher. And that’s just for starters. Of course, it’s ironic that out of a conservative social upbringing, which sidled a woman’s opinion based on assumed family politics and culture, Tamez is now an active and assertive legal professional, balancing her rhetorical skill with her analytical knowledge of the law, litigation, and electronic discovery (the latter of which she operationalized and globalized). “I’ve always been a fighter, and drawn to what’s right, and I think that’s why I have been drawn to the law,” Tamez says. Tamez credits curiosity as the driving component of her evolution in the professional world. 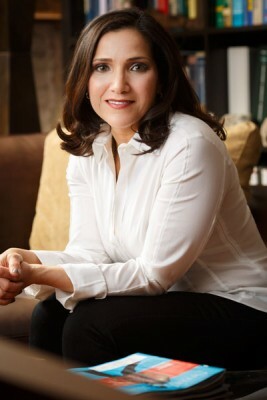 After graduating from St. Mary’s University School of Law and passing the Texas Bar, Tamez worked for four years as the lead prosecutor for labor and employment at the US Department of Labor, then moved to in-house counsel positions with Mary Kay and ACS, then worked for Sumner, Schick & Pace. The professional relationships she cultivated during these years led her to relocate from Texas to Washington, DC, in 2010 to work for CSC. That Tamez locates value on inter-personal relationships as much as she does self-sufficiency suggests an outlook favoring personal accomplishment over material reward (though the rewards aren’t exactly shabby). For Tamez, the key ingredient here is balance; a trait reflected in her extra-curricular pursuit of certification as a Pilates teacher. Compared to weight training and mountain biking, Pilates is arguably a much more refined, subdued pursuit, but utilizes the same mental faculties and is itself founded on the principle of balance, focusing on the core, the “powerhouse.” Raquel’s decision to pursue her Pilates teacher certification is merely another extension of her ongoing effort for self-evolution and self-sufficiency. “I’m not ready to give up the practice of law anytime soon, but maybe one day, in addition to my legal career, I can partner up and invest in a Pilates studio,” Raquel ponders. For now, it’s full steam ahead.